Heads up Seattle and surrounding areas! 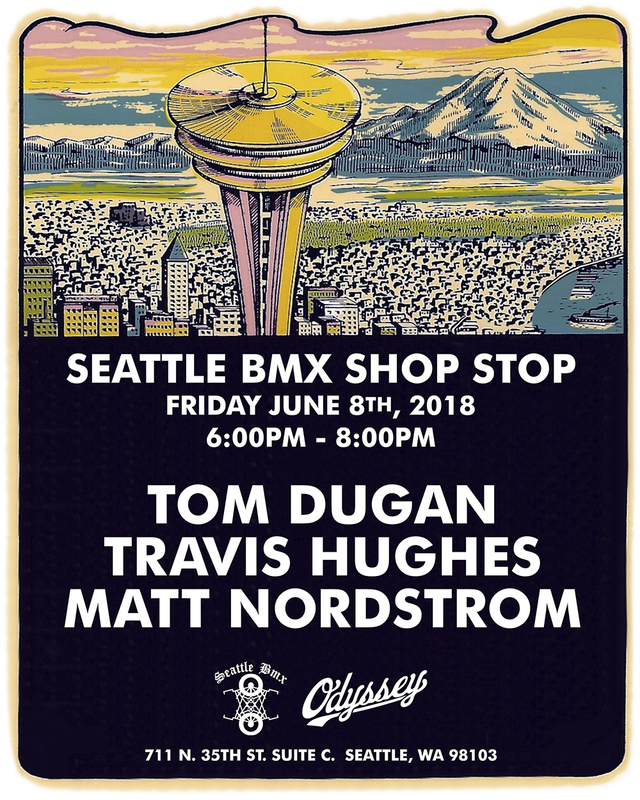 Be sure to stop by Seattle BMX this Friday at 6pm to meet and chill with Tom Dugan, Travis Hughes, and Matt Nordstrom. We’ll have some shwag on hand too!